It's time to back to work after 1 month's long leave to focus on my Hankerie. 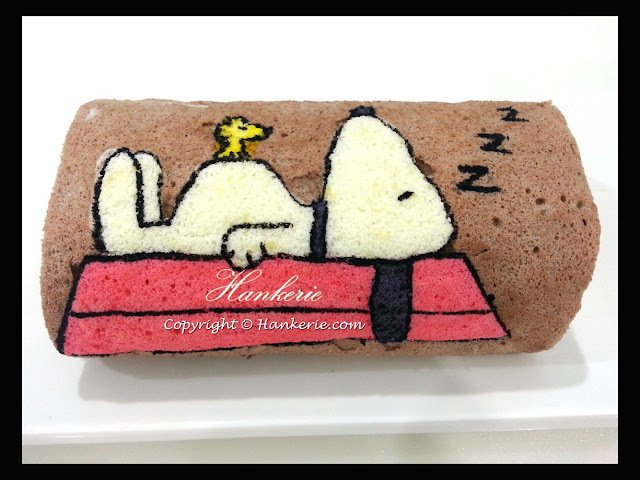 Today, I'm not going to write a long blog of my Snoopy Chocolate Swiss Roll. 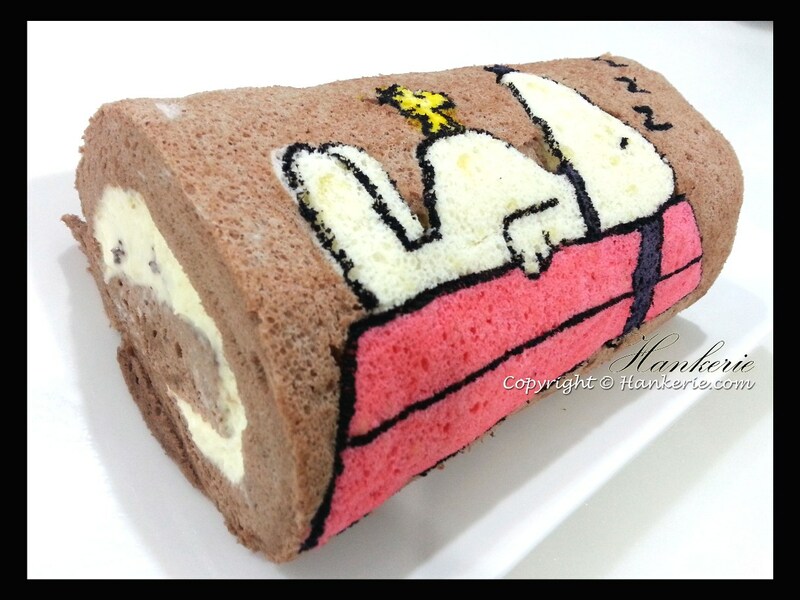 This is 100% free hand drawing artisan swiss roll. Stay tune for next few blog post, I am going to reveal more creations. For my previous Snoopy Green Tea Swiss roll, you can refer here.